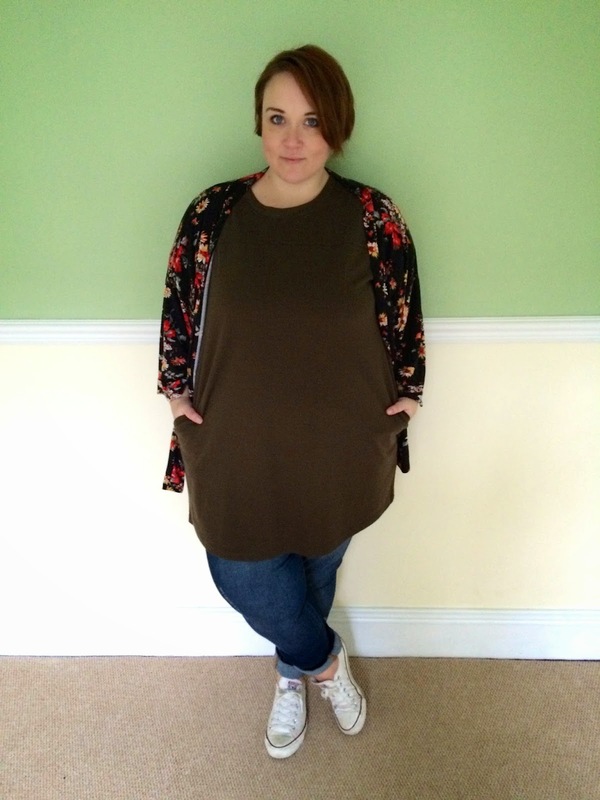 Style: Day 17 - Capsule Wardrobe Challenge. Hello! Second post of day! I've got a whole lot of stuff going on with the blog at the moment, so I might be running two posts a day for a little while, you lucky people haha! 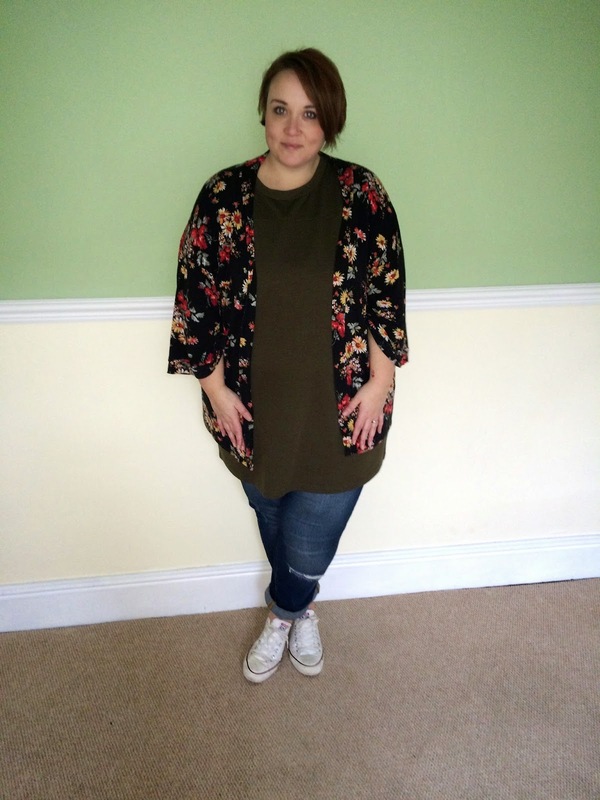 We visited the new house today to drop off some second hand furniture we'd managed to pick up for the bedroom, and as it was raining outside, we took advantage of the empty wall space for some cheeky outfit pics! 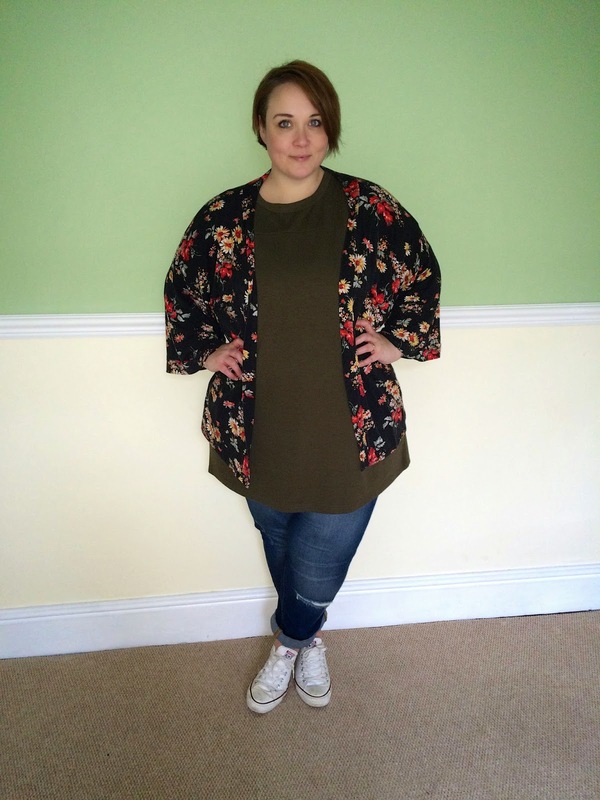 I'm getting so much mileage out of this kimono, it just seems to go with everything. It lifts this simple outfit into something a little bit more special, while still being casual. I must admit though, as I hung some of my clothes up at the new house, I was certainly pining for some of the pretty dresses and cute duster jackets. Not long to go now though!